"A mess of an episode"
Things had been going so well with The Walking Dead. The series was on a roll with a string of strong, taut, and focused episodes. And then "Twice As Far" came along and ruined the streak. The episode was a jumbled mess of narrative, a dump of character exposition, and full of characters making ridiculously stupid choices. It was an example of how Walking Dead can go from one of the finest dramas on television to one of the less successful from week to week. There was a lot the show attempted to do in the episode, so I'm going to switch up my review style this week to address what went wrong (and, in some cases, what went right) in the three central storylines. Eugene has been one of the show's more frustrating characters since the reveal of his lies. He has essentially followed the exact same arc as Father Gabriel: noted coward who lets people risk their lives to save him without lifting a finger realizes that he needs to get his act together and pitch in. The only difference is that Father Gabriel was completely open about his fears, while Eugene covered his up with creative lies. Now that Gabriel has, presumably, found his inner Rambo, I suppose it was time for Eugene to do the same. I don't begrudge the show for trying to set Eugene down the path to redemption, as it's a compelling arc on a show like The Walking Dead. Eugene is a smart guy, and his plan for manufacturing bullets is a good one. What annoys me about the particular path the show chose to take was that it treated Eugene like a conquering hero when he actually managed to get one of the group killed with his own stupidity. 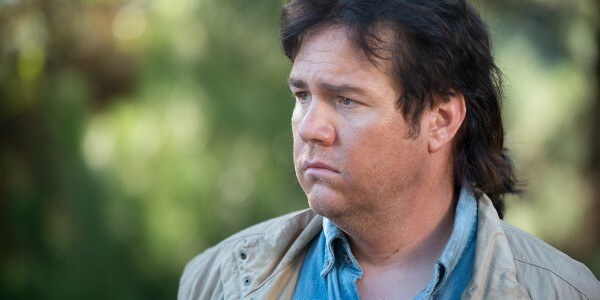 If Eugene had accepted that Abraham was helping him and not let his pride well up, perhaps the Saviors wouldn't have captured him and found Denise, Daryl, and Rosita. After all, I assume Abraham would have nailed at least a few of the Saviors had he been traveling with Eugene, knocking down their numbers significantly. But, as is now par for the course, the stupidity of one of Team Rick leads to the death of an Alexandrian, while the core group remains unaffected. 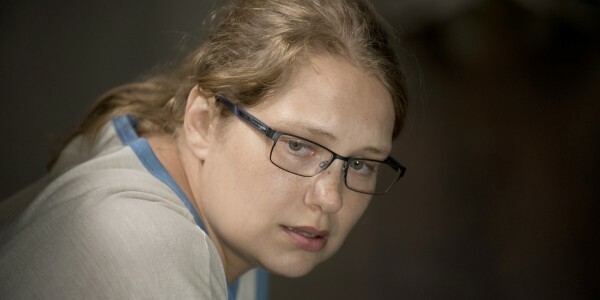 Poor Denise (major props to Merritt Wever for her excellent work during her short time on the series). She committed two mortal Walking Dead sins (and one general television sin). First, she showed gumption and a compelling backstory after weeks without one. As soon as she started opening up to Daryl about her twin brother, Dennis, and her addict parents, I knew she wasn't long for the world. Her second sin was trying to become the moral center of the show- that never ends well. As for her TV sin? Well, she was a lesbian character, so her chances of death were significantly higher than the rest of the cast- except for perhaps the show's black male contingent (check out this link, which has been getting a lot of TV press in the wake of the events over on the CW's The 100, for a look at how sad but true that statement is). Now, I'm not going to get into how annoying it was for The Walking Dead to kill off one of its two lesbian characters, since the show continues to espouse that anyone (and, eventually, mostly everyone) on the cast could die at any time. But I am going to get into how annoying it was for The Walking Dead to once again kill off one of it's secondary Alexandrians while the core characters in the scene got off with only minor scratches. For a series that prides itself on its revolving door, that door has been pretty firmly closed to major deaths for the past year. You have to go back to the middle of last season and the deaths of Tyreese and Beth to find important characters that were killed off. It's gotten so that when there are a mix of Alexandrians and Team Rick together, you can almost be assured that the people you care less about will meet their deaths, while Rick's Gang will soldier on. The show also intended Denise's death to create some additional fear about the Saviors, in light of how easily the gang has dispatched these apparently fearsome adversaries time and again. But it didn't. Dwight, whose face has been scarred by, presumably, Negan, admitted killing Denise was a lucky shot. Abraham, Daryl, Rosita, and Eugene were outnumbered two to one, yet they easily dispatched the Saviors without suffering any major loses (Denise was dead before the battle, so I'm not counting her). Once again, the Saviors appeared to be no match for the good guys. If we are supposed to be so scared of Negan and his group, it would help for the show to make it look like they are at least a bit dangerous. Having Negan roll in, wreak havoc, and prove to be more scary than Rick Grimes will be extremely difficult for the show to pull off considering we know how poorly his group fights without him present. While a number of things bothered me about this episode, nothing bothered me as much as Carol leaving Alexandria. I don't have an issue with action itself- I'm perfectly happy with the show giving us Carol-centric stories. What bothers me is that the execution of this "Carol gets a conscience" arc has been so poorly written that it's entered the realm of confusing. Now, this isn't on Melissa McBride, who has acted the hell out of it. It's on the writers. It appears we are supposed to believe that Carol has been wavering on continuing her role as Alexandria's resident hit woman. She's been counting her kills, she's had Morgan waxing poetic in her ear about the wonders of pacifism, and she saw the burned out shell of a woman she could become if she stops caring about the people around her when she was talking to Paula last week. On paper, I guess that looks like a pretty solid reason to wander off into the woods for a while and live off the land. But the issue is, we don't know what sparked this introspection. It was clear, after the time jump, Carol was in a different head space than before. Only we weren't privy to why. Was it because Sam became zombie food? Was it because she thought the Wolf could have been helped like Morgan thought? All we know is that she was suddenly listing her kills and refusing to shoot a Savior who attacked her and Maggie. To go from one of the most ardent believers in the "Kill or Be Killed" mantra to being scared to kill is a huge leap- one that deserves a deeper look. However, we were only shown snippets, which makes the massive change in Carol's heart one that doesn't ring true from a story perspective. The Walking Dead has done so many things right by Carol, turning her into the show's best and most complex character. This arc, with its lack of explanation, has stripped the character of the agency she has worked so hard to cultivate throughout the course of the series. While I suspect there may be some answers coming next week, I still can't envision there being enough of a reason to justify this rapid change (at least from our viewing perspective).